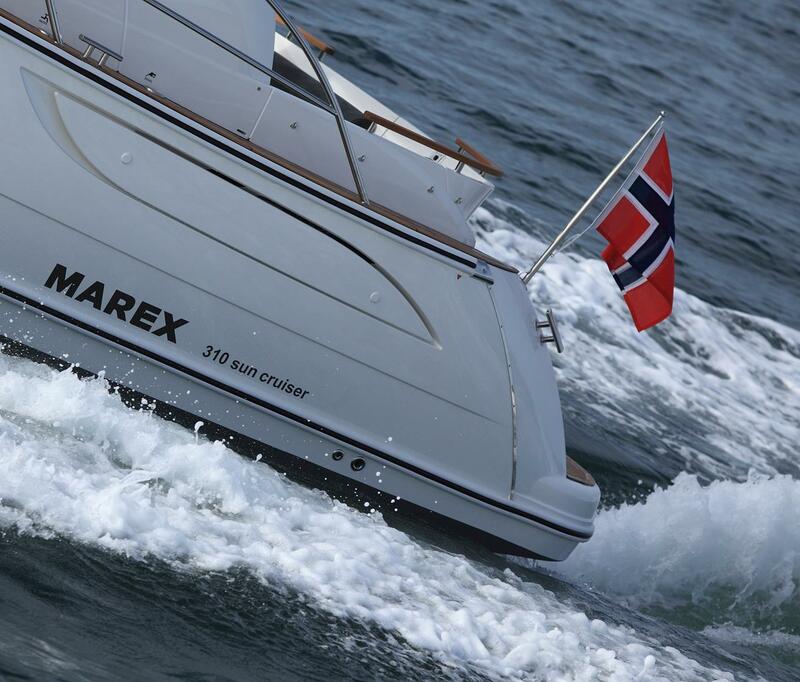 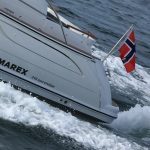 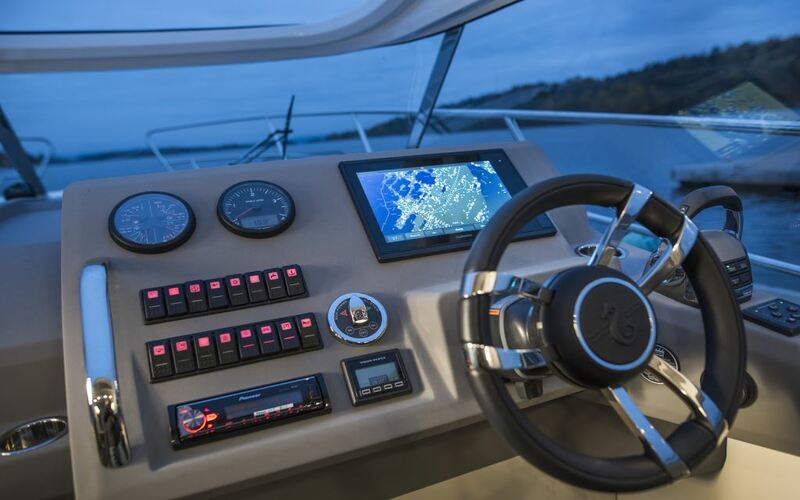 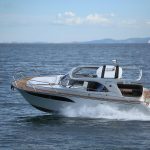 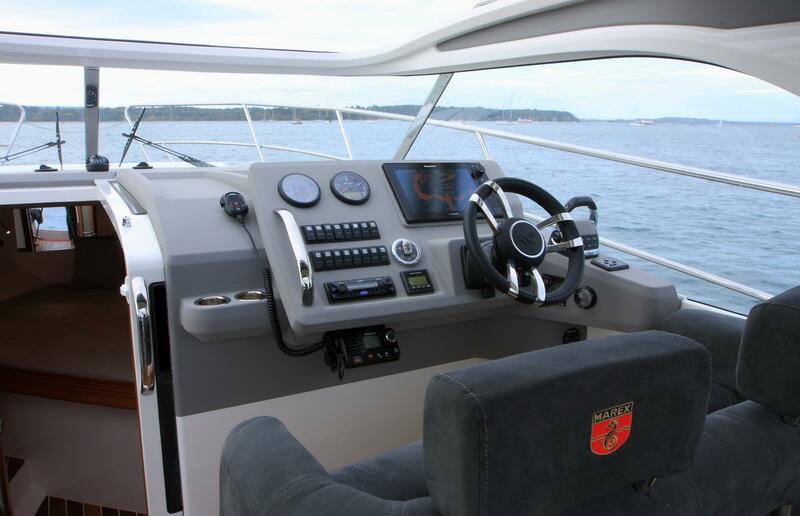 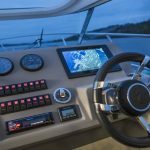 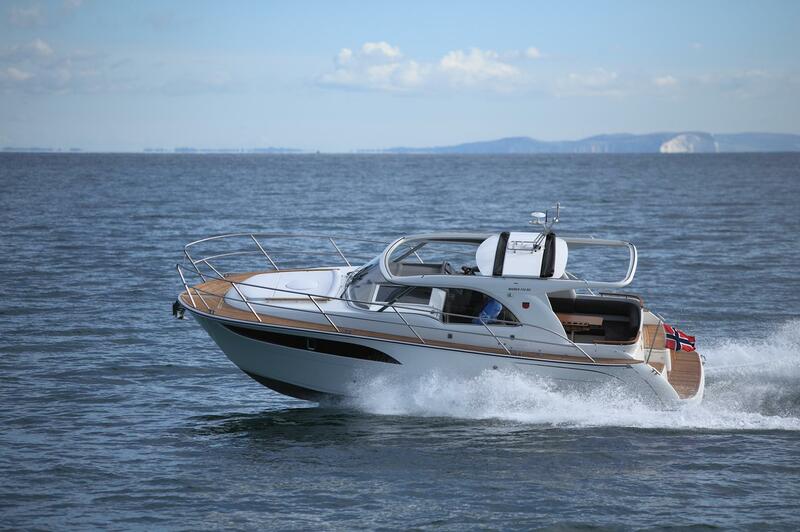 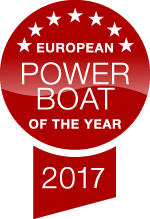 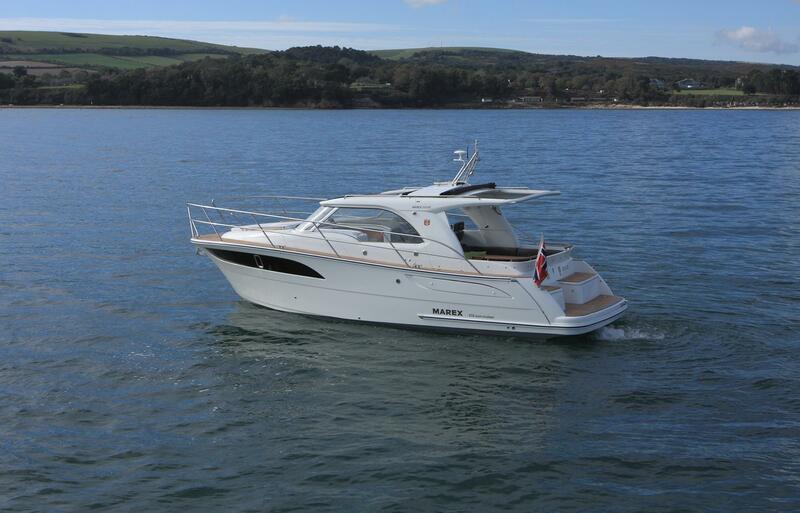 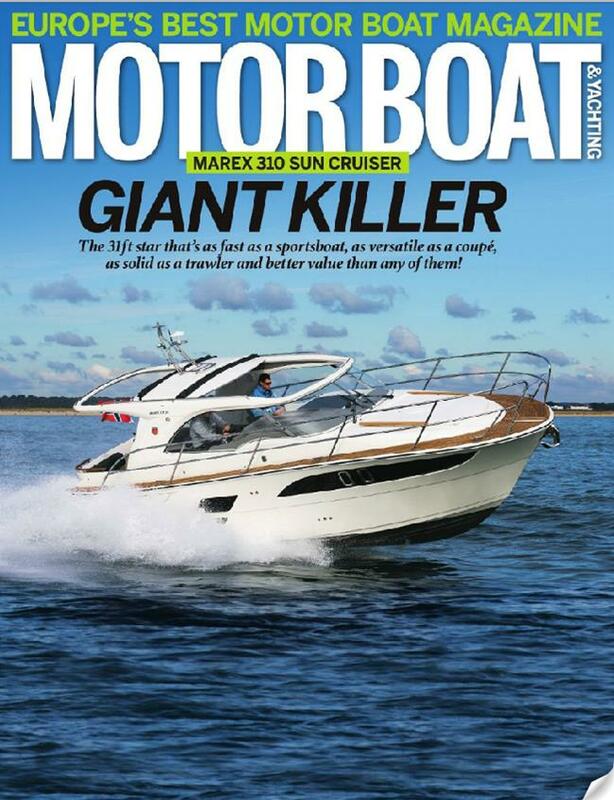 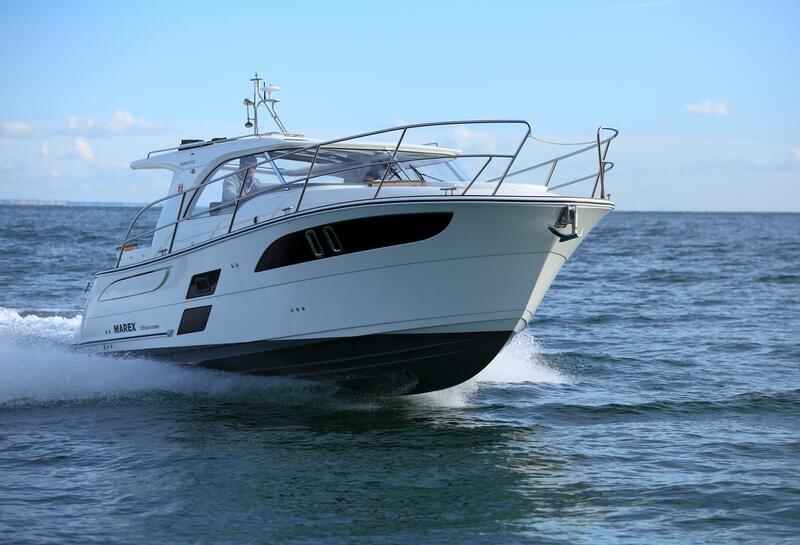 Launched in 2016, the 310 “Sun Cruiser” is the latest model in the Marex fleet and builds on the huge success of their previous versions of the same name. 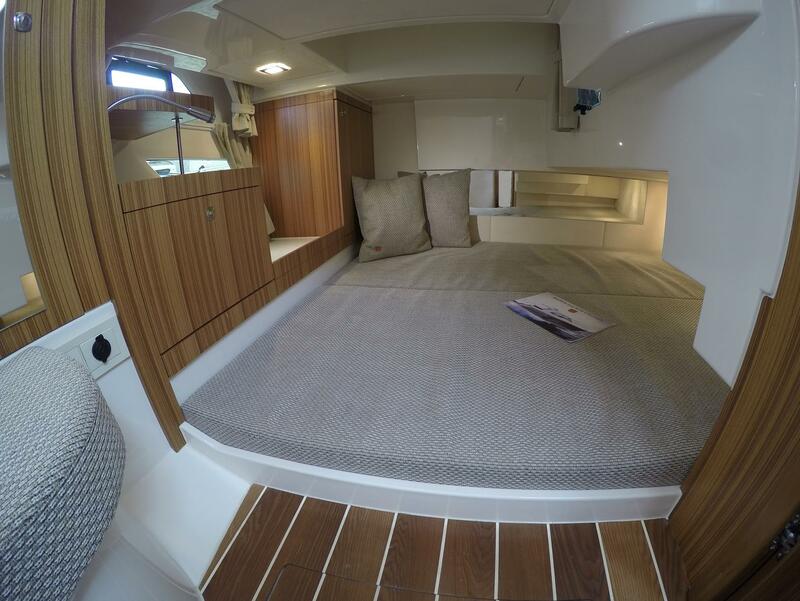 However this 310 is an entirely new proposition with extraordinary levels of space and comfort never seen before on a boat of this size. 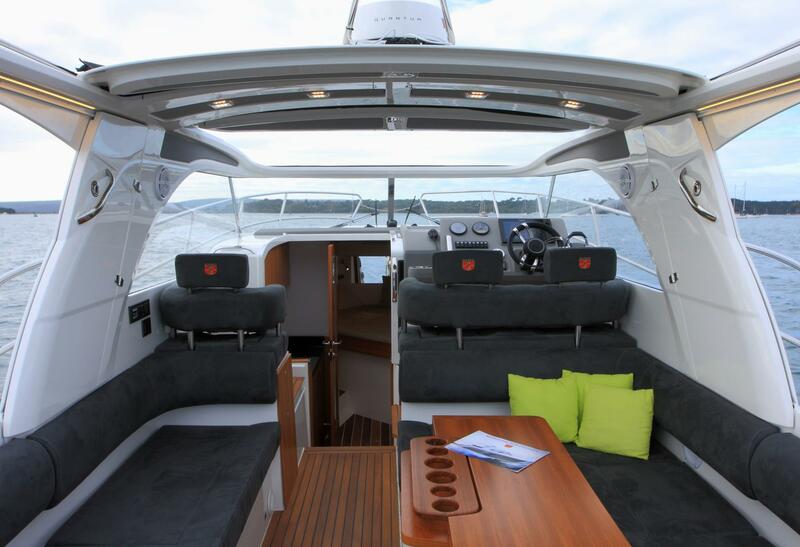 The 310’s expansive cockpit is a glorious feature, with space for 10 people to lounge around the table. 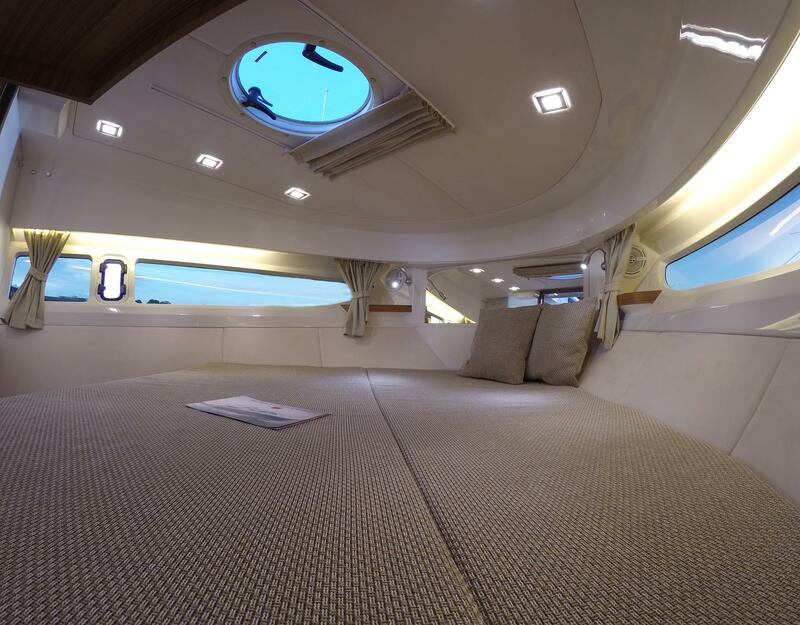 This area is also served by Marex’s ground-breaking cockpit cover system to ensure the best comfort in all weathers. 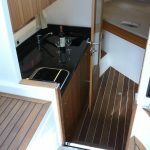 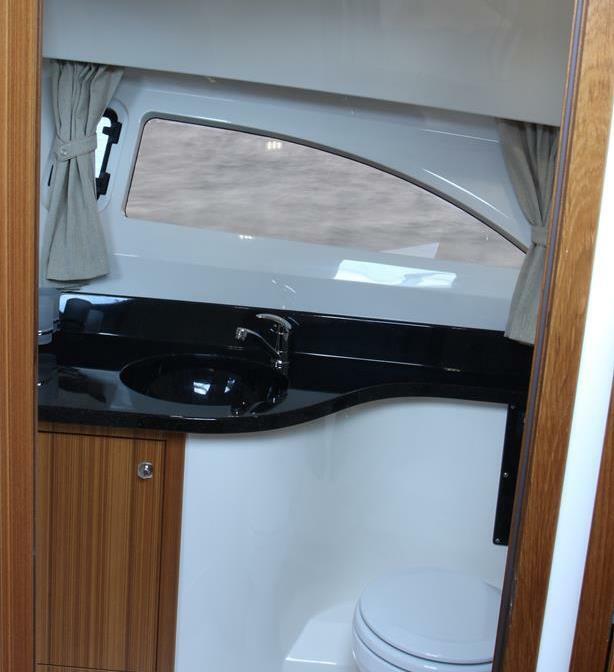 A well-equipped mid-ships galley leads down to two separate sleeping cabins and a spacious toilet/shower room. 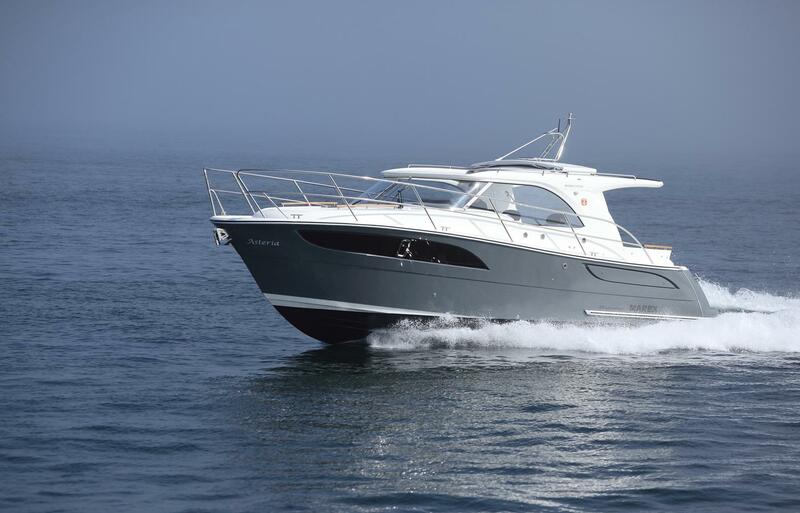 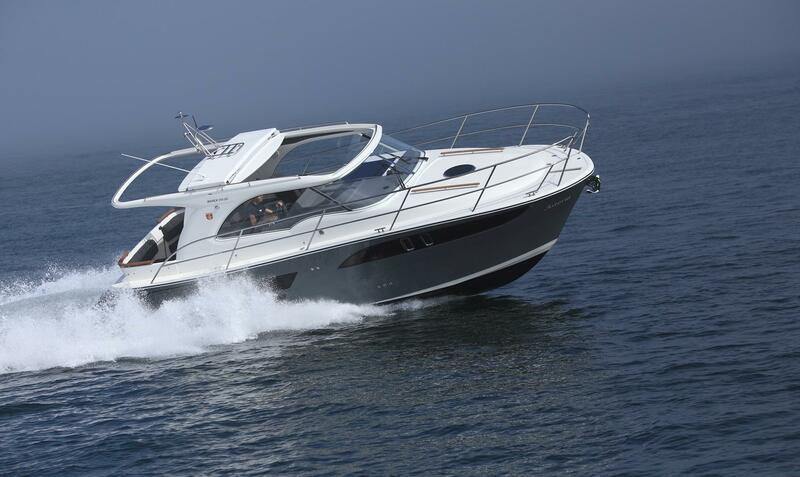 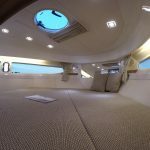 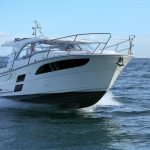 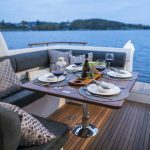 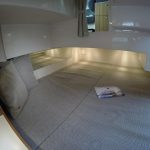 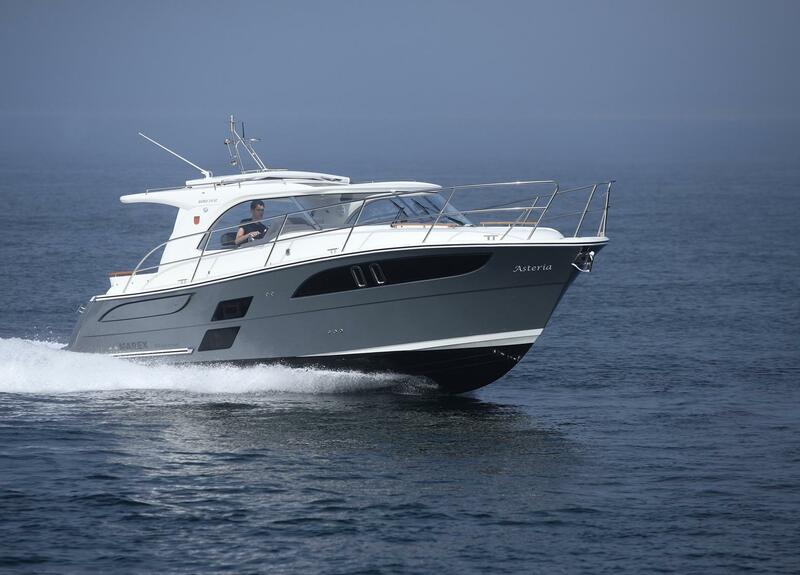 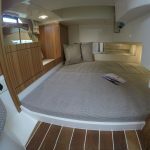 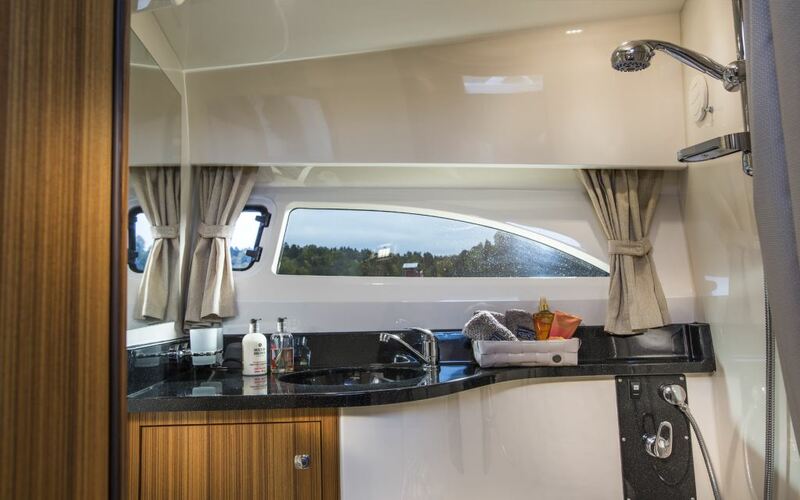 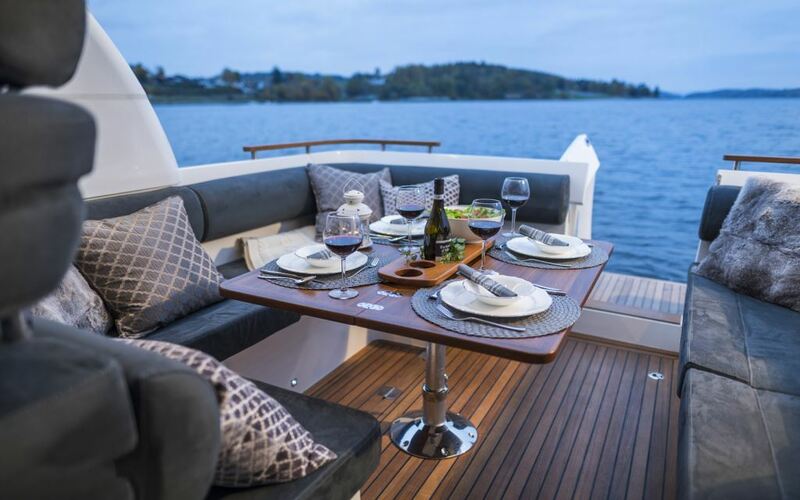 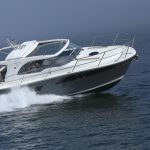 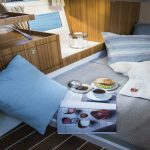 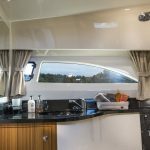 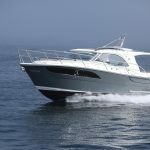 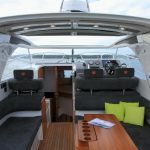 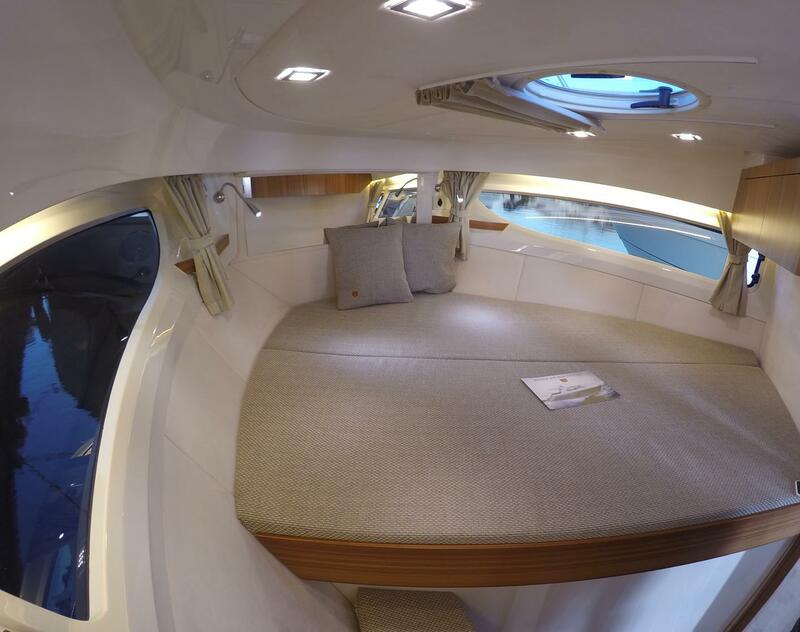 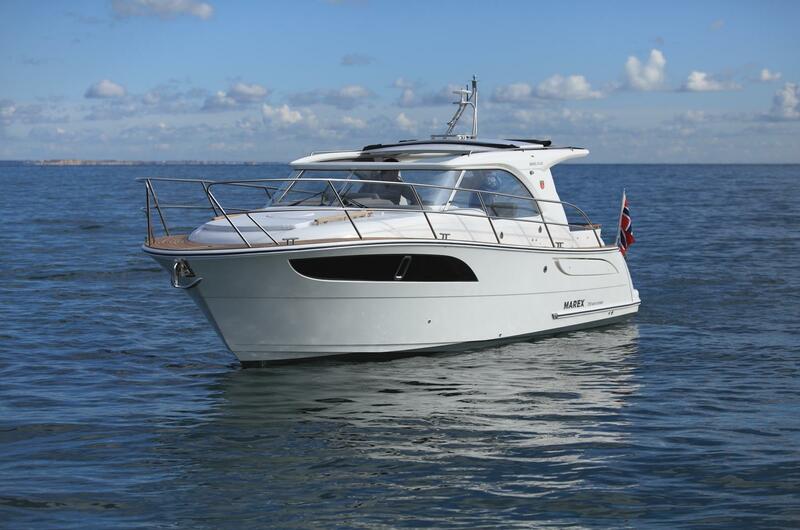 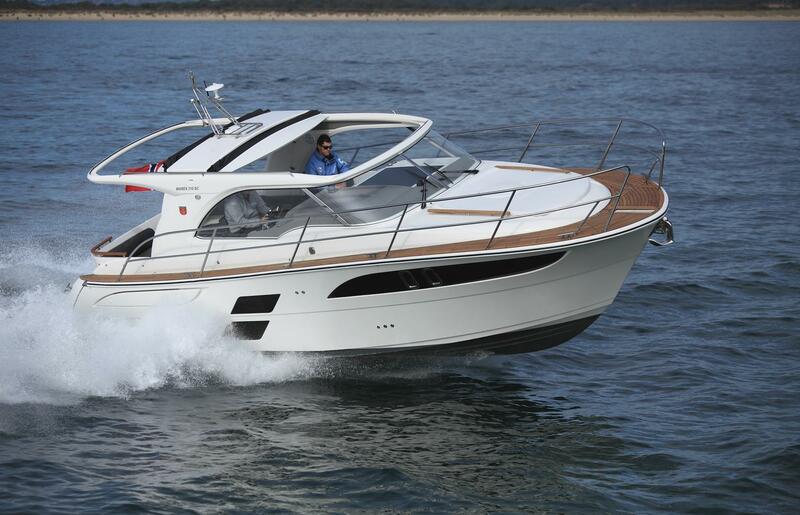 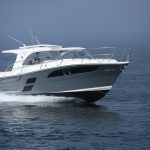 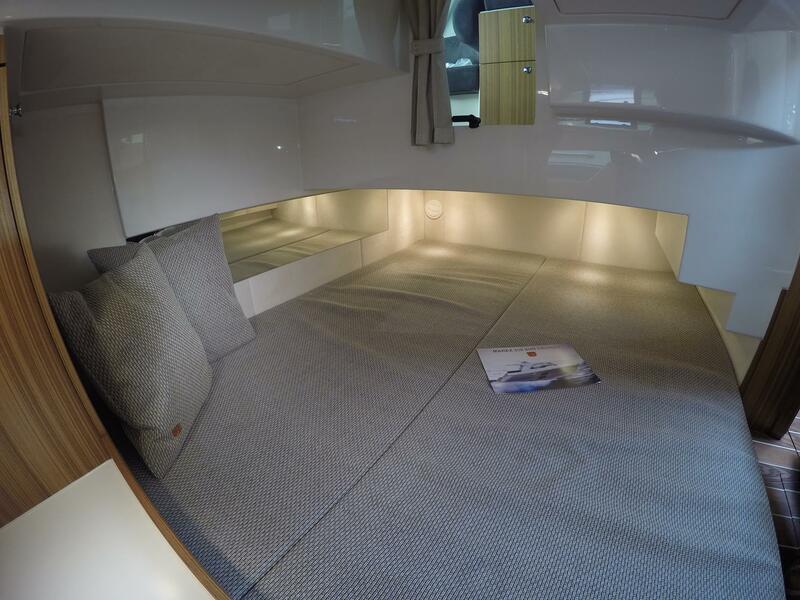 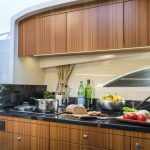 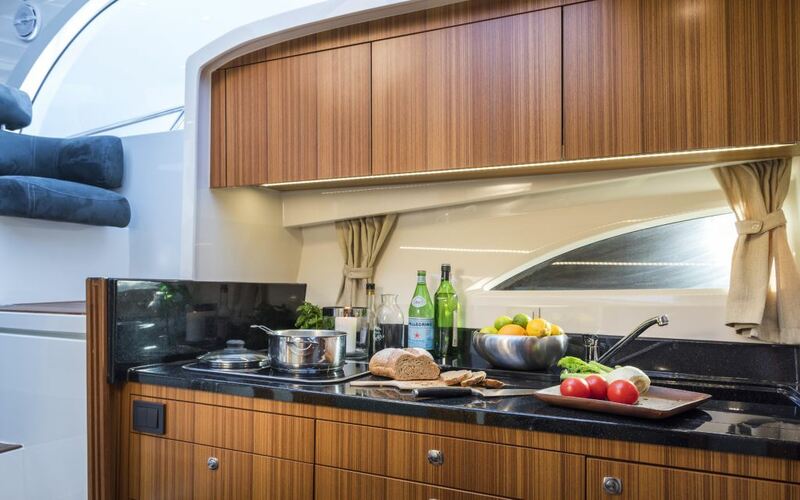 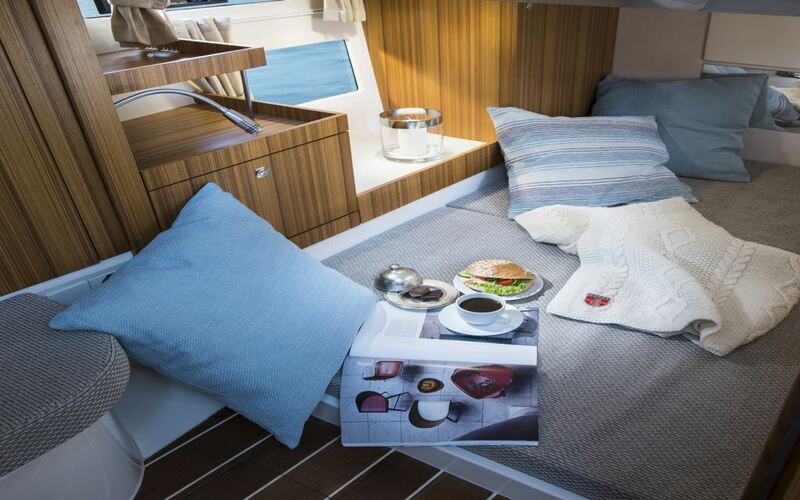 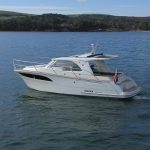 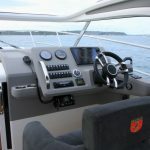 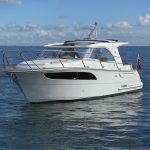 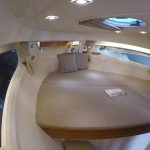 Thanks to clever design, the feeling of space and comfort is akin to a boat far larger than the 310’s size would suggest, at also a very competitive price point.